I wonder how many firearm enthusiasts know that William “Bill” Ruger of Sturm Ruger fame was an avid Stutz afficionado? Or that the Ruger Bearcat and Blackhawk revolvers were named after Stutz automobiles? Bill Ruger had amassed a collection of twenty eight classic cars including Stutz and Bentleys prior to his passing in 2002. And Bill Ruger was not one for having cars sitting in a museum looking pretty. He drove his cars and loved driving them. One, a 1928 Stutz BB Black Hawk Speedster he modified somewhat, modifications which included titanium connecting rods created at Sturm Ruger and increased the engine power to a respectable 444bhp, which is rather a lot by 1920’s standards. This may well be a tale that will have car collecting purists weeping into their Louis Roederer Cristal Brut but the Philistines amongst us simply think “What a fabulous idea!” – as Bill Ruger obviously did. One of the cars Bill Ruger owned and loved was a Stutz DV-32 Bearcat. What Bill Ruger loved about Stutz automobiles was their engineering, and the DV-32 was the sine qua non of Stutz engineering excellence. 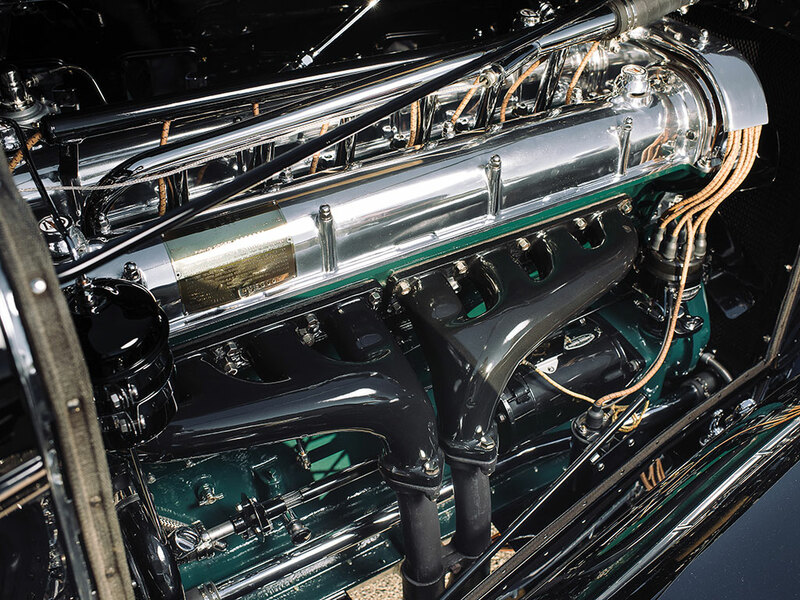 The Stutz DV-32 DOHC engine was the state of the art straight eight engine, the best Stutz ever made. (Picture courtesy RM Sotherby’s). 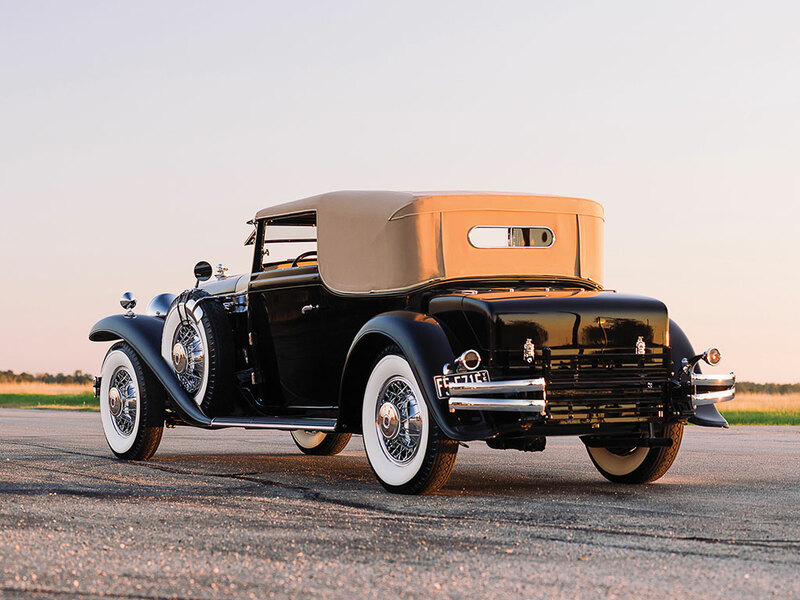 Although the car we are featuring was not one of the Bill Ruger collection it is of the same family of the Stutz he owned and loved to drive, even if this one does not have titanium connecting rods and other engine modifications to bring it up beyond four hundred brake horsepower. The Stutz DV-32 we are featuring is representative of this Stutz DV-32 Victoria as it was delivered new in 1932. 322.1 cu in Double overhead camshafts and four valves per cylinder producing 156bhp, Double Valve – 32 Valves. Note that for the DV-32 Stutz abandoned the dual ignition system used on the SV-16 engine. (Picture courtesy RM Sotherby’s). By the late twenties into the early thirties luxury car makers were vying with each other to produce engines with more and more cylinders. V12’s and V16’s became fashionable. 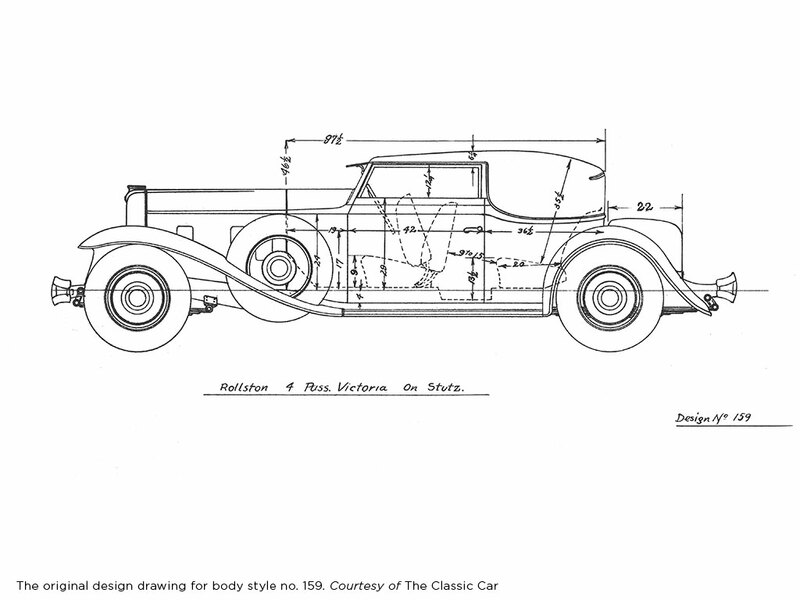 Stutz did not have the capacity, or the willingness to simply be dedicated followers of fashion but instead concentrated on doing what they knew they could do best, design and engineering excellence. The DV-32 engine then used double valves and hemispherical combustion chambers to create what is probably the best straight eight engine ever produced. 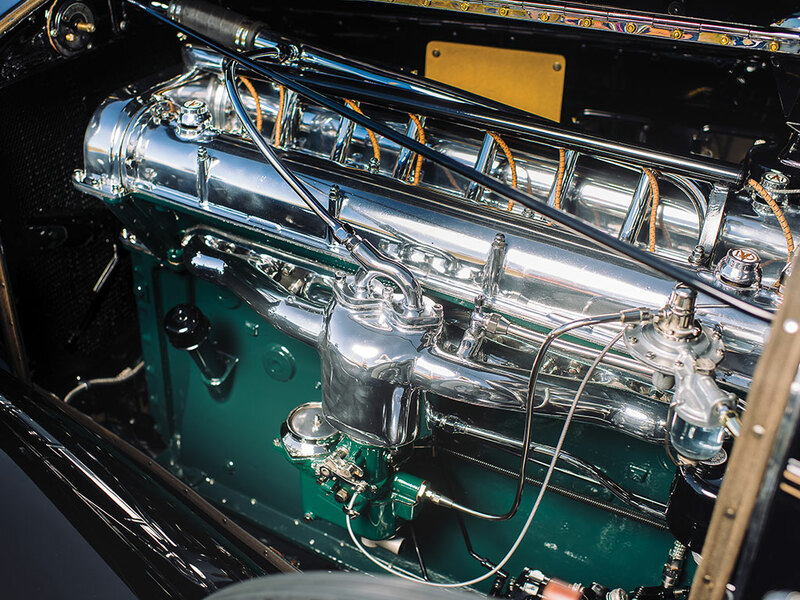 Built on the firm foundation of the SOHC single valve Vertical Eight this new engine was a fitting Swan Song for Stutz, excellent and innovative to the last. The driver of the Stutz DV-32 Victoria had a four speed gearbox and servo assisted hydraulic drum brakes at his/her disposal. (Picture courtesy RM Sotherby’s). 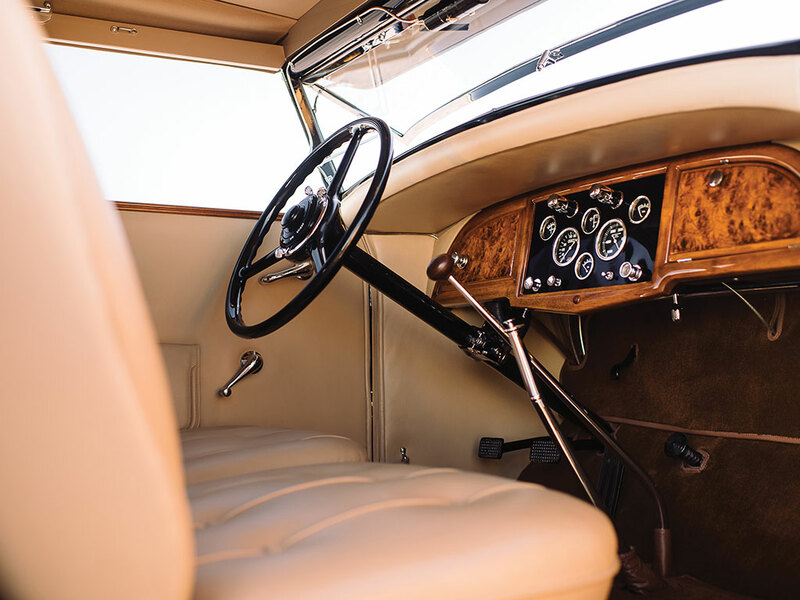 Stutz were designed as luxury driver’s cars and the DV-32 featured a four speed manual gearbox and servo assisted hydraulic drum brakes. Suspension is by beam axles and leaf springs front and rear yet the car is acclaimed for its controllability and the smoothness of its ride. 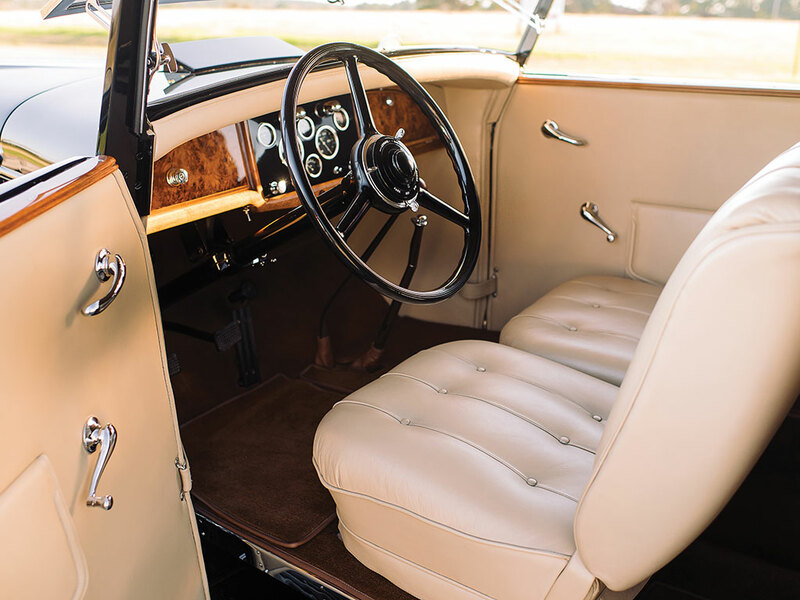 The interior of the Stutz DV-32 Victoria is an expression of opulent quality and aesthetic restraint. (Picture courtesy RM Sotherby’s). Coachwork of this Stutz DV-32 Victoria is by Rollston of New York. 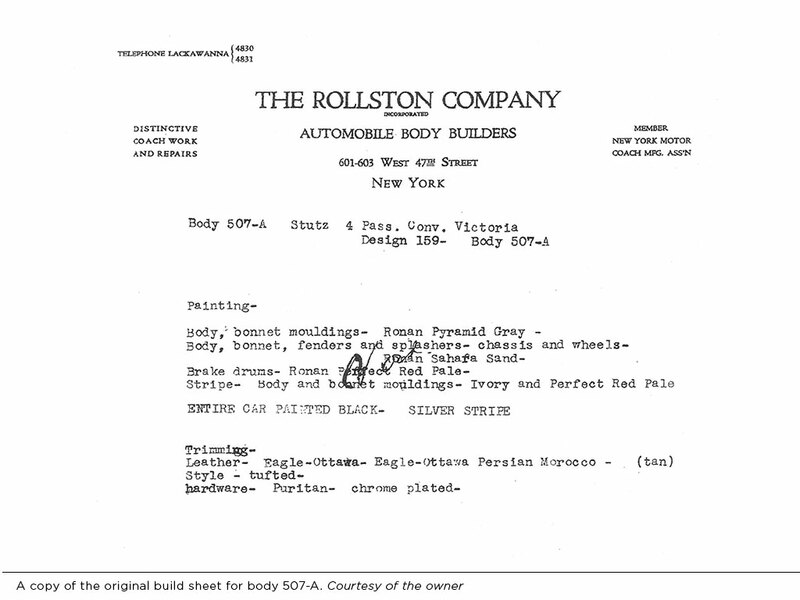 Rollston typically only averaged twenty or so car bodies per year during the depression years of the thirties and their reputation was for the highest quality. 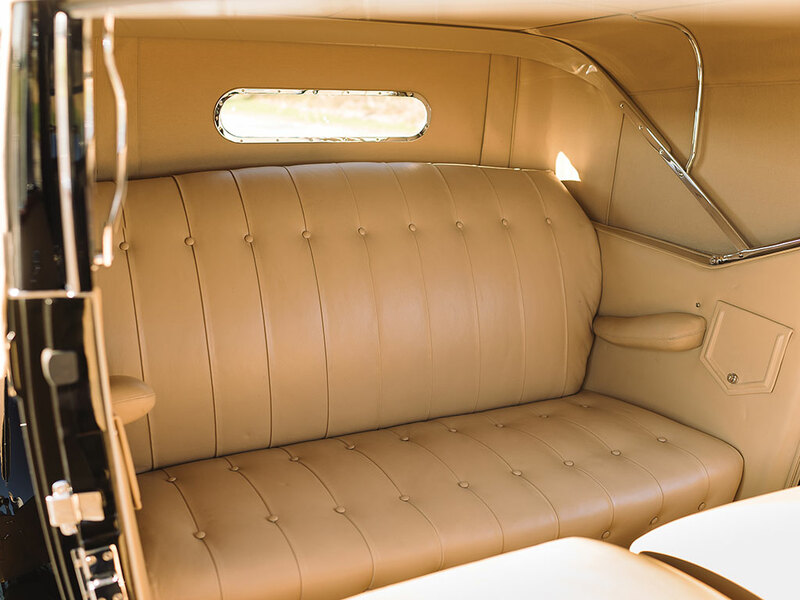 The rear seats are where most people would experience the luxury of the Rollston coachwork. (Picture courtesy RM Sotherby’s). As can be seen in the picture above the Victoria style of coachwork produced a convertible with a lowered body at the rear seat. This had the advantage of allowing the hood to be folded down to body sill level giving rear seat passengers an uninterrupted view and keeping the line of the car low and straight. The intention of the drop in sill height at the rear is to allow the hood to be lowered into a near level line with the body sill. (Picture courtesy RM Sotherby’s). The Stutz DV-32 are an icon of America’s fascinating automotive history. 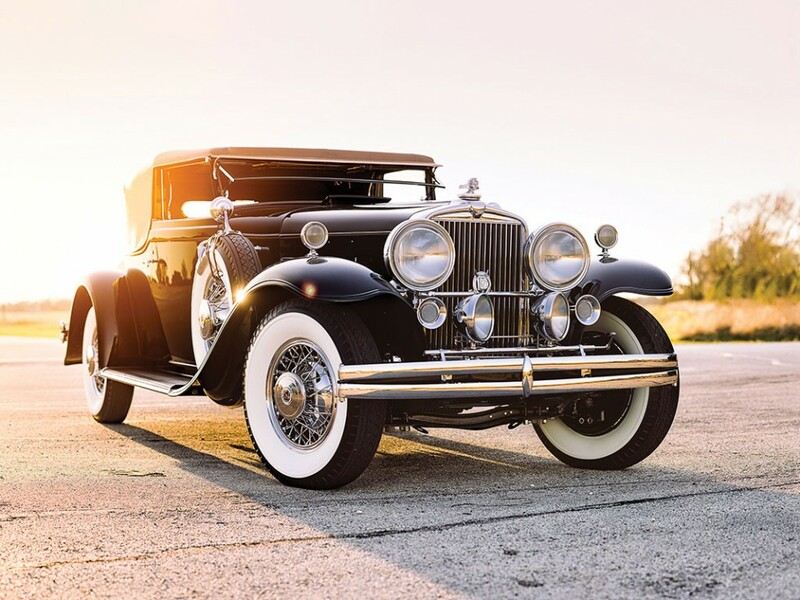 Whether it be for competition oriented cars such as the Stutz DV-32 Bearcat, or for luxury cars that were at least the equal of the best Europe could produce. This car that is coming up for auction by RM Sotherby’s on 12th March 2016 is a beautiful example of the best of that automotive heritage. You will find the RM Sotherby’s auction page with full details of ownership history if you click here.